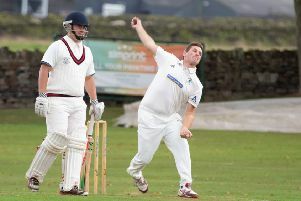 Todmorden CC have bolstered their bowling attack with the capture of ex-Walsden player Martin Harlow. The left-arm opening bowler has been to Australia a couple of times in recent years and didn’t play for the Central Lancashire League club in 2014. However, he was Walsden’s stand-out performer as the seconds won the Premier title in 2013, topping the league averages with 50 wickets at 10.92. Tod skipper Andrew Sutcliffe, reappointed for 2015, is delighted to have an addition to his attack for the next Lancashire League season. “He has opened the bowling for Walsden firsts in the past and also scored a couple of centuries for the seconds,” said Sutcliffe. The skipper revealed that the club was closing in on an overseas player to replace star Aussie Michael Neser with either an Aussie or a South African in the frame. It was the Centre Vale club’s AGM on Monday and Ibra Ali’s appointment as second team skipper was confirmed. The veteran left arm spinner returns to take over from the retiring Lee Pearson, who Sutcliffe said had done an excellent job in recent years. Prolific wicket-taker Ali has a 15-year-old son, Hamza, who is a promising player. Tod hope to appoint a junior head coach before development squad nets start next month and Duncan Sutcliffe - no relation to Andrew - has joined the cricket committee. Walsden’s junior training is at Todmorden SC on Fridays for 10 weeks from January 23. Under nines (school years 3 & 4) train from 4.30 to 5.30 and under 11s (years 5 & 6) from 5.30 to 6.30. All welcome.